Web servers are responsible for loading and delivering web pages to the end user. In order to make sure your websites and web servers are always available, webserver monitoring is crucial. Implementing and maintaining an effective web server monitor helps the network administrators prevent problems by revealing patterns of resource usage and performance that might otherwise go undetected. With proper webserver monitoring, you can identify (and sometimes correct) problems and potential performance problems as effectively as possible, even before end users are affected. With Applications Manager web server performance monitoring, get panoramic sight into your servers, monitor the health and availability of a variety of web servers including Apache Server and IIS. Applications Manager web server monitoring software provides assistance to the user and helps them monitor web server performance and availability. 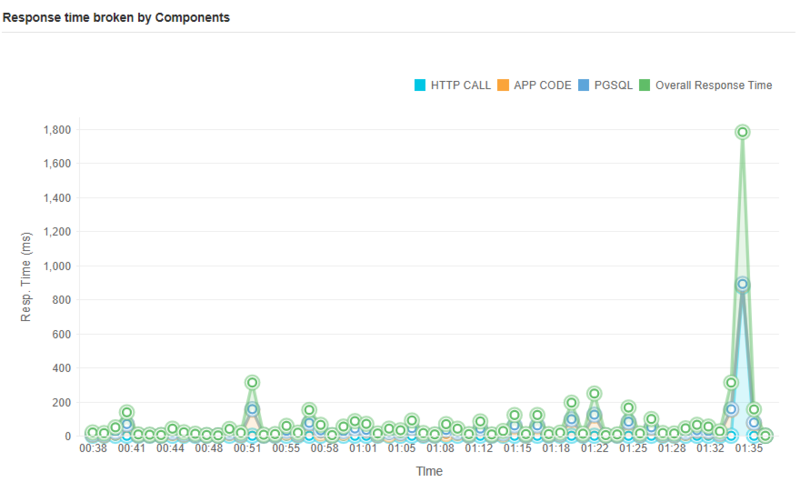 Monitoring response times is imperative in understanding the behavior of your apps with respect to user inputs. Deducing the root cause of slow response times, therefore, is essential in guaranteeing a seamless performance of your webserver. Applications Manager web server performance monitoring tool checks the availability and monitors the response times of web servers at regular intervals and triggers alerts in case of performance issues. With Applications Manager web server monitoring tool, configure dynamic baselines for anomaly detection and associate thresholds to key web server monitoring parameters to detect bottlenecks as soon as they arise and automate corrective actions to resolve them before the web server performance is affected. Through the agency of a web server monitor, you will be able to protect your web servers against possible hazards. Applications Manager web server performance monitoring software enables you to get insight into the trend of the servers by providing history reports of key web server monitoring parameters. Applications Manager web server monitoring software provides statistical reports, performance graphs and heat charts for the key metrics which help you visualize performance data making it easier to analyze web server performance periodically. Make use of web server monitoring service provided by Applications Manager to avail forecast reports that use machine learning to help predict growth and utilization trends thereby aiding efficient resource planning for the future. 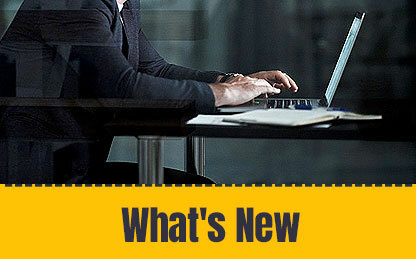 See how Applications Manager fulfills complete web server monitoring. Schedule a personalized demo now! 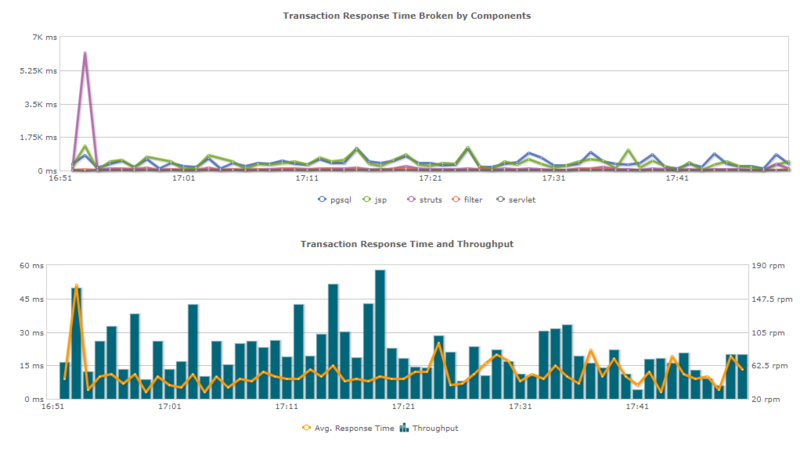 APM Insight provides you with rich details about transactions processed by your web server. Get in depth details about response times and throughput, with underlying component level split up for each transaction to pinpoint slow transactions and troubleshoot web server performance issues faster. 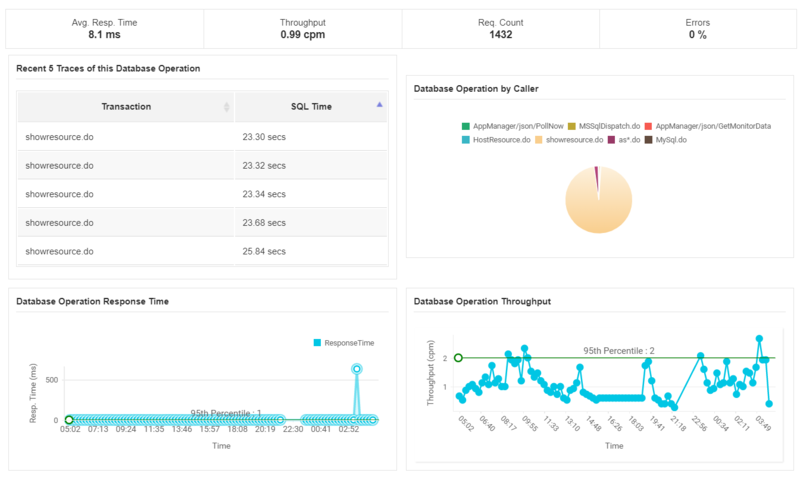 With the APM Insight agent, collect details not only of your web server but also about the performance of the connected database. Isolate slow database queries by analysing transaction traces and pinpoint to the SQL statement that is causing increased response times. In addition to webserver monitoring, ManageEngine Applications Manager extends its comprehensive monitoring capabilities to websites hosted on your web servers. Keep up with the health, availability and performance stats of all your websites and get deep insight into all your transactions. Collect and analyze the performance data from various geographical locations using synthetic transaction monitoring capabilities offered by Applications Manager.